The Mindfulness Matters campaign is designed to encourage burger lovers across the country to take the time to make more mindful decisions in their day to day lives for the wellbeing of mind and body. Only this month, Grill’d will dedicate its Local Matters program and rename it to ‘Mindfulness Matters’ to help fund the provision of Smiling Mind resources to be used at schools and organisation working with young people and also sporting clubs local to each restaurant. So, everytime you buy a burger, you will be given a token to pop in one of three jars ultimately deciding which group you would like to support. 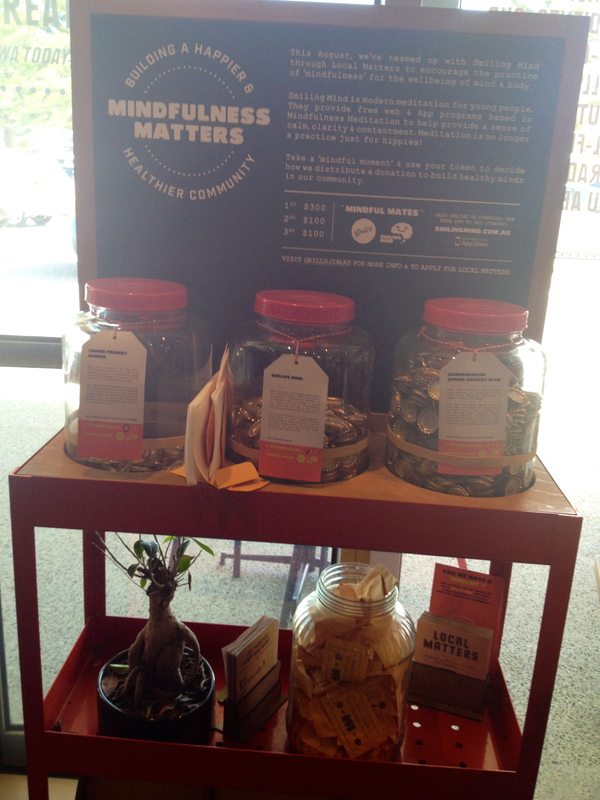 At the end of the month, each Grill’d restaurant will donate $500 towards provision of Smiling Mind resources. The group with the most tokens receive $300 worth of the program resources and other two groups receive $100 each so everyone gets something. It’s a great cause to support! 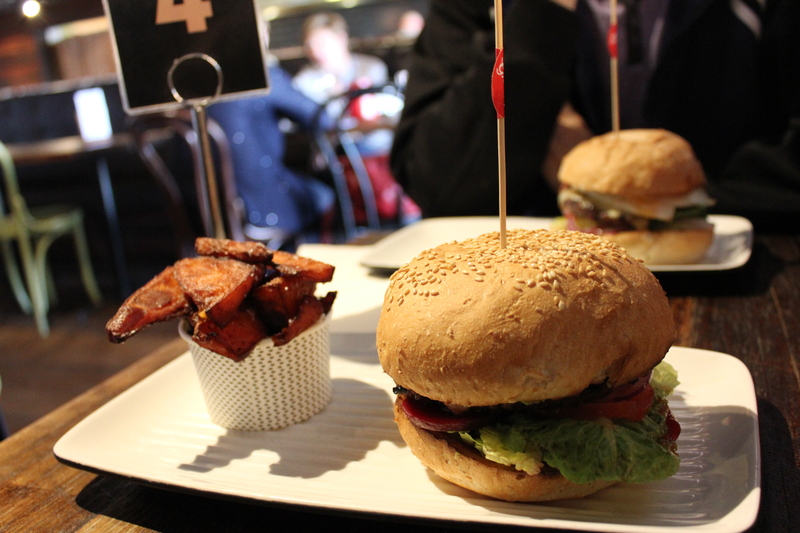 I was invited and were given vouchers by Grill’d to experience mindful eating. On a beautiful Friday afternoon, Matt and I went to Grill’d Scarborough for lunch to have our own mindful eating experience. As Grill’d Scarborough is close to the beach, the cool sea breeze and the lovely ambience created a relaxing experience to indulge in our Wild Wild West Burger. There was no rush and we took our time to enjoy each bite of our locally and freshly prepared burger while thinking about each element of the burger and where it came from. Avoid mindless eating! Take the time to enjoy your food and eat at a slow pace, paying attention to the smell, aromas, texture and look of what you are eating. It is easy to over eat as it can take up to 20 minutes for your stomach to talk to the brain about how full you are. Even when your day is jam-packed and time is not on your side, it is important to spend a few seconds to choose a healthy meal that will ultimately fuel your body with the nutrition it needs to get you through the day. Fresh is always best! Find a nice and relaxing place to eat your food and arrange your food nicely on your plate to make it a positive experience. Negative thoughts can effect even the healthiest food. Try not to use technology such as the television or mobile devices while you are eating. This includes staying off social media and checking emails. I would like to thank the team at P4 group for the invitation to have our own mindful eating experience at Grill’d and Grill’d for the fresh and delicious burgers as always.